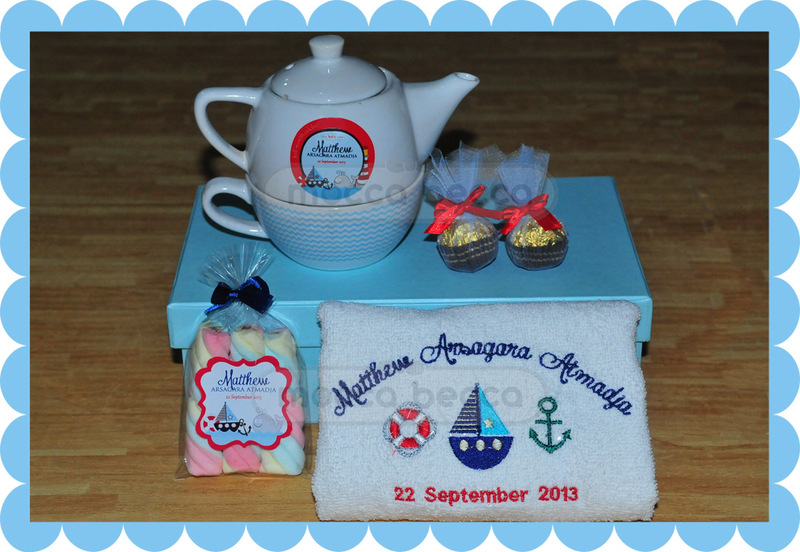 Ordered by mommy Vera, with request in Sailor theme. 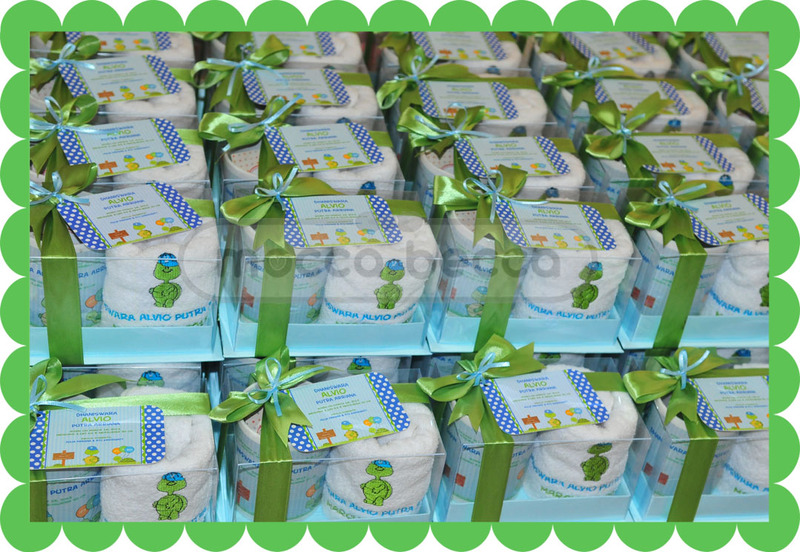 1 sport towel embroidery + 1 pack marshmallow. 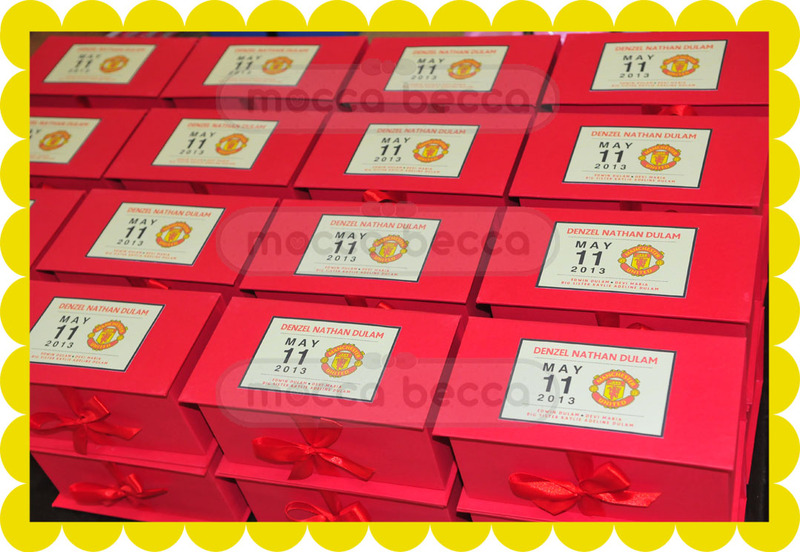 Ordered by mommy Devi with request Manchester United theme. Ordered by mommy Ayu, with “turtle” theme. 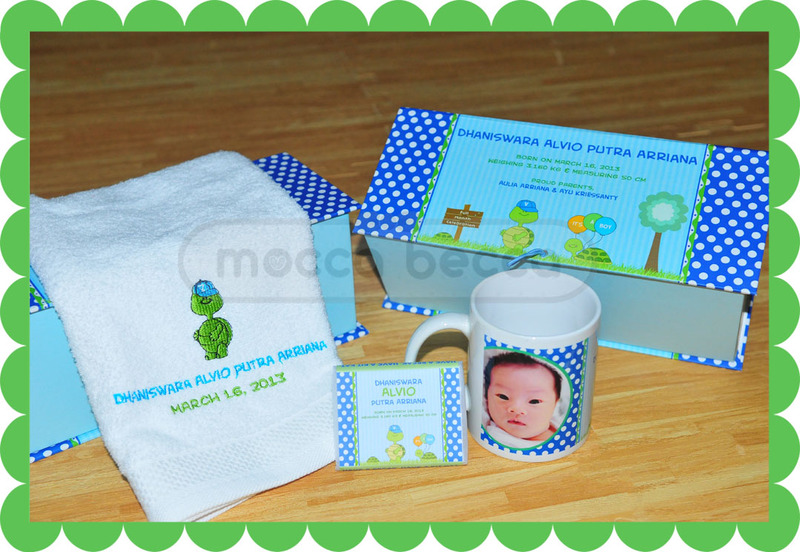 1 mika box + 1 printed mug + 1 towel embroidery. 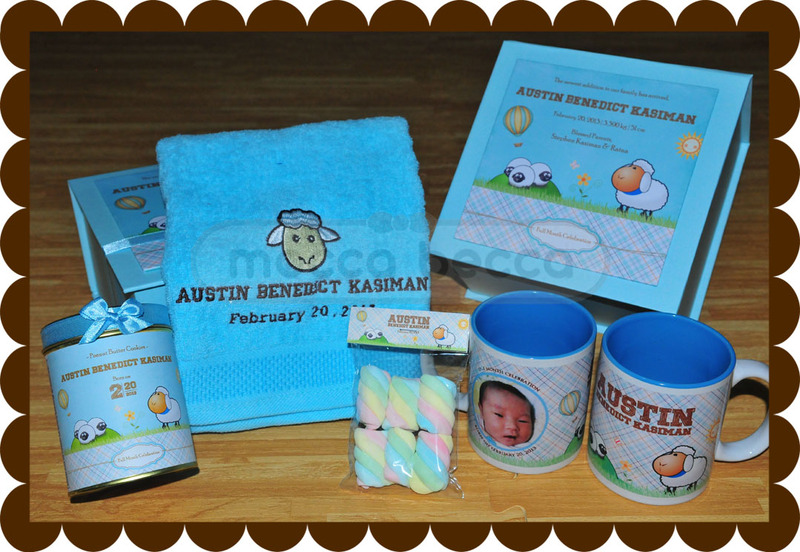 Ordered by mommy Ratna (via Lusiana), with ‘sheep’ theme. 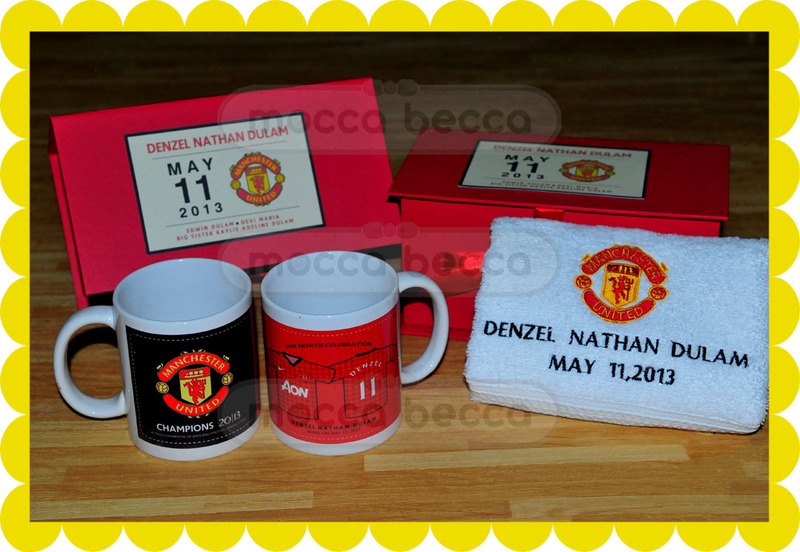 1 exclusive hard box + 1 printed mug + 1 towel embroidery + 1 tin can peanut cookies + 1 pack marshmallow. alice in wonderland for baby CHELSEA. 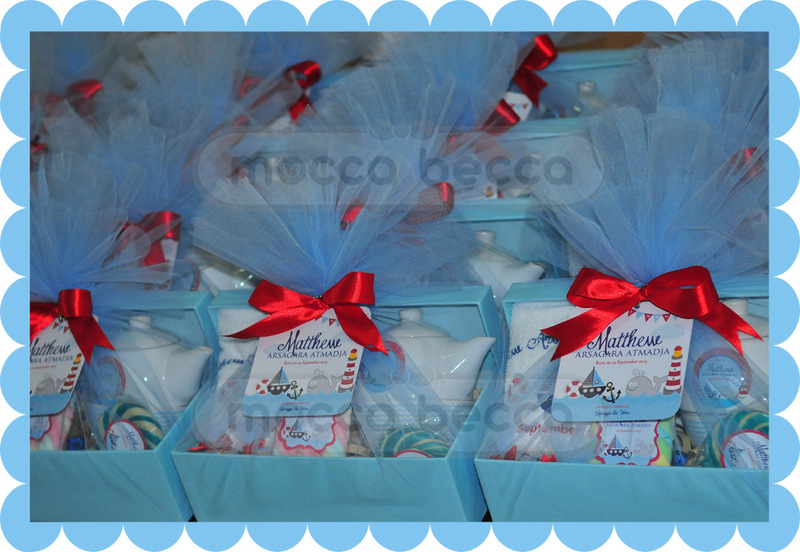 Ordered by mommy Yessica with request alice in wonderland theme. 1 chocolate bar + 1 lollipop candy + 1 plastic marshmallow. the TWIN girls: Jenilyn & Jadelyn. Ordered by mommy Lingga for her twin girls, with request dragon pink theme. 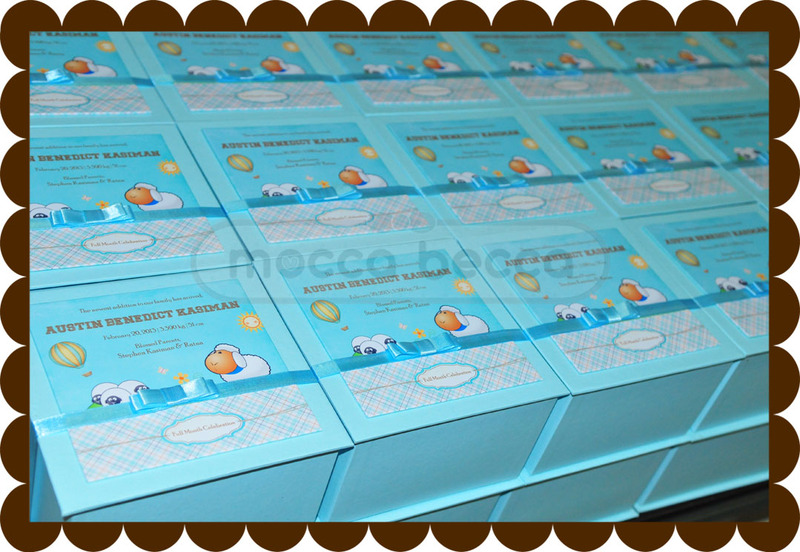 1 full hard box + 1 towel embroidery + 1 tin can choco chip cookies + 1 tin can peanut cookies. Happy 1mos baby Alyssa ! 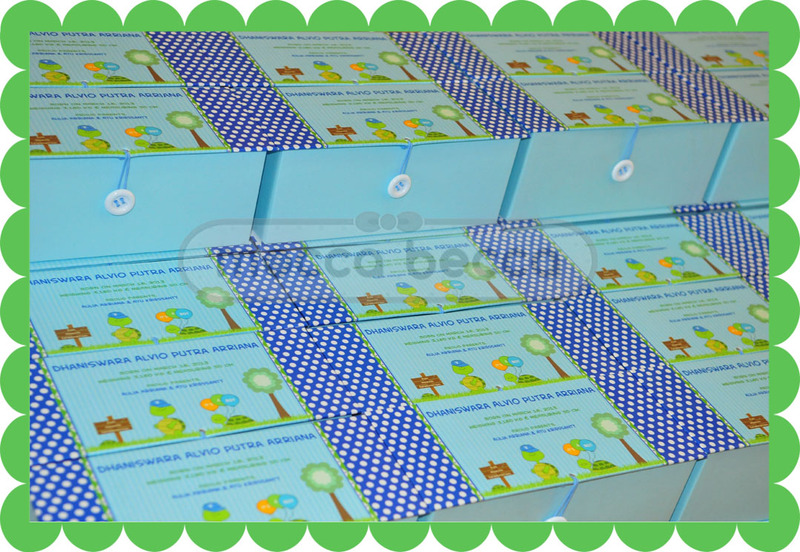 Ordered by mommy Agnes, with request crown (princess) theme. 1 small full hard box + 1 tin can choco chip cookies + 1 tin can peanut butter cookies.